Did you know that you can use dental implants to secure a full arch of missing teeth in a single day? All-on-4 dental implants represent one of the most innovative solutions in restorative dentistry. They allow patients to secure a full set dentures with as little as four dental implants. Best of all, the All-on-4 system offers permanent results and can be performed in just one office visit. If you are facing complete tooth loss in Sacramento, there’s no reason to wait weeks or months to restore your smile. Ora Dentistry is proud to offer All-on-4 implants as part of our commitment to stay at the forefront of modern dentistry and maintain the highest patient satisfaction rate. All-on-4 implant dentures rely on the unique concept of securing a full arch of teeth to just four dental implants. The implants themselves are specially designed to provide maximum stability with an angled placement that requires less bone density. This means a less invasive procedure that can also help patients avoid bone grafting that would have been necessary with traditional dental implants. The All-on-4 system is the most advanced option in implant-supported dentures or overdentures. By securing a denture to dental implants, you can avoid denture adjustments and messy adhesive creams to keep your prosthetic teeth in place. Instead, patients can enjoy a life of improved comfort and confidence in their restored smile. To learn more about the benefits of All-on-4 Implants or to find out if you qualify for this same day dental implant procedure, contact Ora Dentistry. 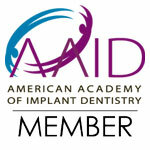 We are Sacramento’s most trusted dentist when it comes to All-on-4 Implants and other teeth replacement solutions.